The coalition Government has several things to be worried about but one of its major concerns must surely be the chance of a rise in inflation. In December, the CPI rose from 3.3% to 3.7% with the RPI sitting at 4.8%. Not great if you have a mortgage. Or indeed if you have savings sitting in the bank becoming less and less valuable. The Bank of England, however, are so far maintaining that this rise in inflation is the exception to the rule, and not a sustained trend. They maintain, despite the long duration of this aberration, that if we just stay patient, inflation will come down. All we apparently need to do is keep interest rates as low as we can to keep demand as high as possible. Mervyn King and friends tell us that the high inflation we are seeing will eventually work it’s way through the economic system if we’re patient enough. They also say that the reason there don’t seem to be any increase in wage demands is that people are happy to accept the current situation and are relieved to be in work and managing to survive despite the loss of value of the money in our pockets and standards of living. And this is what should make the Government worry. As the purchasing power of our pound falls and our living standards drop, people will begin to lose patience. Which will not be very good for the governing parties when it comes to polls and elections. This is, of course, assuming that the Bank of England are right and this high inflation is a temporary deviation. If they’re wrong, and inflation continues to climb, then interest rate increases will have to be pretty harsh to stem the tide of such inflation. That will hit peoples’ pockets even harder and lead to deeper unpopularity for Cameron, Clegg and Co. 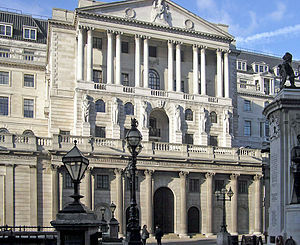 The Government are going to get caught between the Devil of the Bank of England who have control of interest rates and insist inflation rises are temporary, and mortgage holders who hope interest rates stay low, and the Deep Blue Sea of those with savings who will see the value of their money vanishing before their very eyes. Given that Gordon Brown ensured the Bank of England had total independence, there’s almost nothing George Osborne or any of the cabinet are able to do. They’re forced to sit there and acknowledge increases in the price of goods and services, while hoping and praying that the Bank is right because there’s no plan to deal with the inevitable problems that arise if they’re wrong.